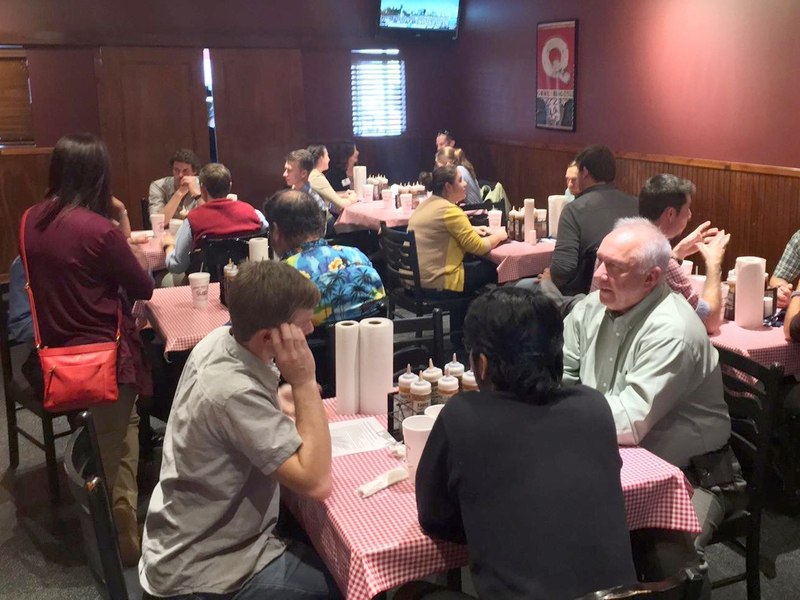 Gary Pendergrass, a principal in our Springfield office, recently attended a mentor luncheon at Missouri State University to interact with students and give them perspective on their future careers. The event was sponsored by the Geography, Geology & Planning Department, and attracted more than 35 students. Gary was one of the ten industry professionals invited to the event who rotated throughout the group, talking and answering questions. Gary also emphasized the importance of personal networking and backed it up by offering to connect and keep in touch with the students via LinkedIn, giving them an opening into his large industry network. This is just one of many ways that GeoEngineers’staff prioritize engaging with the next generation of engineers and industry professionals. Gary Pendergrass, right, sits with students at the Missouri State University mentoring event.